The Good Geek Wife: WoW Widows Unite! A WoW widow, to me at least, is someone who has essentially temporarily lost their significant others to WoW or World of Warcraft. Sometimes this epidemic can be permanent if communication of unhappiness and discontentment continues. Right now, I am a bit of a WoW Widow. I am surviving. So, unless you have been living under a rock, or have nothing to do with gaming what-so-ever, you may have missed the big release of World of Warcraft expansion: Legion. Side note: I did pop on to Facebook to make sure 1. I was giving correct name information on the expansion and game and 2. spelling everything correctly, because heaven forbid I'm human and make a typo. When I typed in World of Warcraft in search, underneath "World of Warcraft" it said Games/Toys. I had to chuckle, because I am positive if I called this game a "toy" to anyone who is at all playing the game I would be turned in to a sheep or something. Ok, back to the originally scheduled blog post. 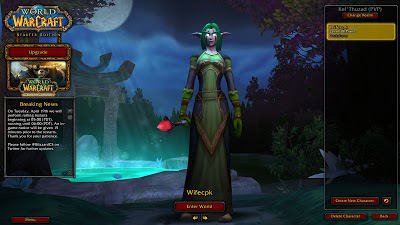 As you may remember, I did the whole World of Warcraft for a short spell. Basically to get some pretty cool stuff for Hearthstone (a "spin-off" game if you will) and it made for a pretty interesting blog post. Needless to say, I can't keep up with my husband and our good friends when it comes to grinding and really leveling up. In a game like that, I want to learn what I'm doing, read about the lore, take my time, and as with most games, play by myself (with the exception of a few co-op games with Breaky and Overwatch of course). So, Breaky and his friends got the expansion and pretty much has been spending any free time playing. With the exception of forgetting to take the dog out and leaving her to roam upstairs by herself, which we don't do anymore (because of the loss of 2 cords, one pair of prescription glasses, one pair of sun glasses, one tan pump, three crate beds, part of our carpet, a few books and a few coasters,) he's been pretty good about keeping "real-life" things in perspective and latching on to my not-so-subtle clues to my need for attention. That doesn't mean that while he's downstairs in Azeroth, I may not be a little salty while figuring out where those pans go BECAUSE THEY DO NOT GO ABOVE THE TOASTER OVEN SWEETHEART and evidently they "don't fit" in the drawer below the oven. Now, if you are reading this and you are like, "oh my God I can relate, my significant other is super in to WoW and I don't know what to do!" Great, welcome to the club. Take a seat. Let's form a support group. We should have a logo, like "I am a WoW widow, but I am okay with it." The only piece of advice I can give is be as supportive as you can be without being walked on. Communicate when you feel like it is getting out of hand without insulting the game or your significant other. 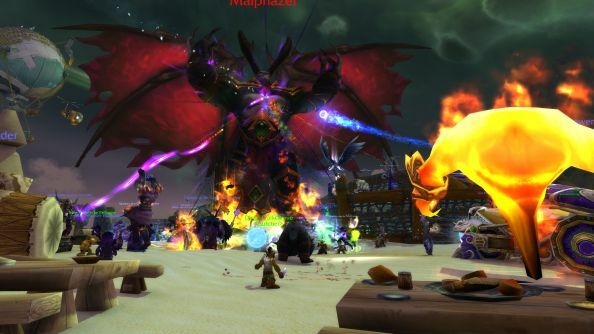 Compromise, because this game is important to them, and sometimes schedules can get tricky, as you often have more than 3 people trying to raid together. This is my second rodeo, so to speak. My boyfriend in college got in to the game when it first launched (World of Warcraft, not just Warcraft. I'm not that old thankyouverymuch), and I have to admit, neither of us were super good at communicating our feelings, which resulted in a pretty complicated breakup come that January. I am not saying I'm super good at communicating my feelings in a mature, calm and collected manner, especially if you ask Breaky (don't, by the way), but at least I recognize that there is a better way to address your concerns about you being temporarily widowed by a game. I say temporary, because like many things in this life, the hype will fade and interests will be diverted. However, if you do feel like communication and compromise (yes, compromise!) do not work, maybe some professional intervention may be necessary (as a kind of last resort). 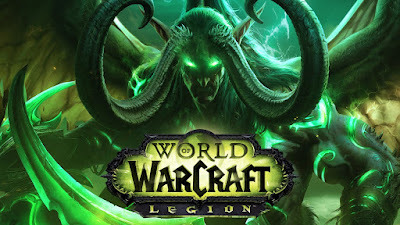 If you are reading this and are like "I play a lot of WoW and maybe my significant other doesn't get as much attention as they should get" maybe you should have them read this blog. Honestly, they should be reading this blog anyway, but I feel that way about everyone. Make sure you are communicating your schedule and commitment to this game with your significant other. Try to carve out some "real-life" time with them so they do not feel neglected. Talk with them about your character, or the lore. Share with them the stuff that makes you so obsessed with the game. This is important to you, and for them to understand, seeing you enthusiastic about your hobby is one sure-fire way to do so. There is nothing that makes me feel better than hearing Breaky talk on and on about his passions, even if I don't understand half of what he is saying. He is sharing something that means something to him with me. That makes me feel important. This was a wonderful read ! You write so well and its very funny to see your side of the story!